An exhausted Bertie and Croc were looking forward to the excitement of the day to end. They had travelled through the Vatican, seen so many sights and experienced the excitement of visiting the Sistine Chapel. Croc had started to look forward to putting his short little feet up in the hotel room. He hoped that he would be able to crawl out of the camera bag and nestle in the soft bedding on the bed….maybe even have a snooze. While Croc was daydreaming about having a nap, Bertie was reluctant to hide back in the camera bag just in case he missed something! He remained perched on the top of the spare lens which was conveniently placed in the bag. It gave him just enough height to be able to peek out of the zip at the top. He was soon glad he did. He felt an odd sensation, like they were going downwards quite quickly. He watched as people walked slowly in front of him, stopping occasionally to take photos downwards. “I wonder what they are taking photos of?” Said Bertie out loud. He was soon to find out. The bright light from the glass ceiling above soon became replaced with the yellow dullness of artificial lights. 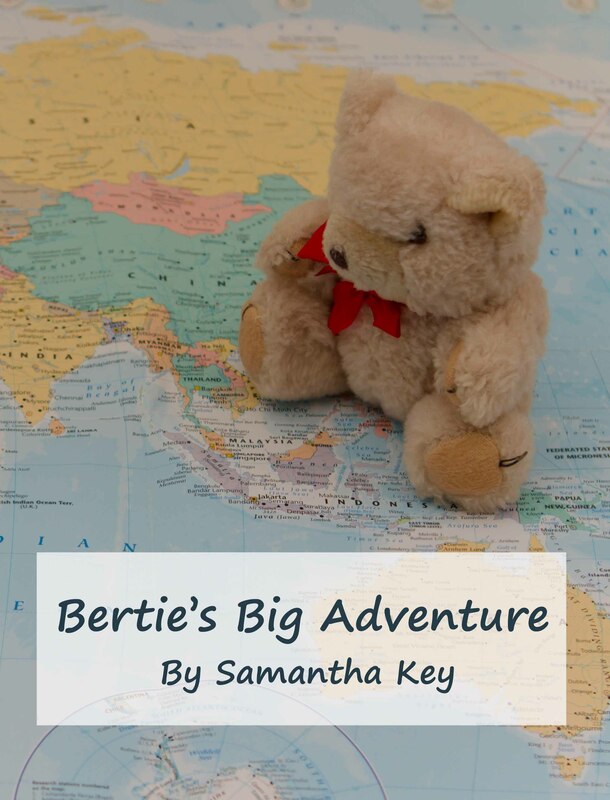 Bertie knew they had reached the bottom of where ever they were going as they were stood still. He took his opportunity to fully peep out of the bag and look up. “WOW!” Sais Bertie with a gasp. He tugged at Croc who reluctantly climbed up the camera lens and looked up too. They were at the base of a majestically decorated spiral staircase. It seemed to go on forever towards to bright light coming in through the glass ceiling. Bertie thought it looked like the staircase to heaven, Croc thought it looked like hard work and was glad they didn’t have to climb up it.